When you receive the results of student evaluations after your course has concluded, do you read the results? If so, do you reflect upon what they’ve written and what this means for your facilitation practice? If not, is it due to a lack of time or do you believe that those evaluations are not significant? It is interesting how varied adjuncts view these end-of-course evaluations. Adjuncts that are new to the process of classroom facilitation in an academic environment are the most likely to review and evaluate the feedback provided. 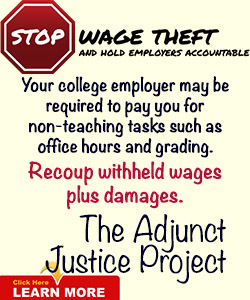 Adjuncts that are more experienced will either believe it has no bearing on how they facilitate their class or they view the reports as having substantial value. There are valuable clues that you are likely to find within the student evaluations, which can strengthen your classroom facilitation practice. Whether these evaluations are completely positive, somewhat positive, or extremely negative, you can gain insight into the students’ experience and discover ways of enhancing your instructional strategies based upon what was written. Students who take the time to complete evaluations often do so when they have something on their minds, positive or negative, and believe this may be their last opportunity to express their thoughts and feelings about the course or the instructor. Some students may not complete the evaluation for fear of retaliation or a negative outcome on their final grade, and these perceptions can only be dissuaded if you’ve taken time to explain the process before the evaluations are sent. It is not productive for the instructor or the student to fear the process and instead it can be explained as a means of allowing the student to summarize their learning experience and share it with the institution. When you begin to review the results or individual reports, it is helpful to approach it through the lens of critical thinking and analysis. First, take into consideration what the student is attempting to tell you about the most effective and ineffective aspects of the classroom. In the long run this feedback can ultimately strengthen your facilitation practice. As you interact with students you may not receive immediate feedback from them. What better method of knowing how to adapt your instructional strategies than to read the results of what students share at the end of class? While many of these evaluations include questions with a rating scale or multiple choice answers, the most important sections are those where the student can answer open-ended questions. Those descriptions provide the clues that let you know more about their perceptions and expectations about the class, and whether their learning needs were met. It is very likely that you may not agree with what a student has written, especially if you believe they held an unrealistic expectation. It is also possible that you can read a negative comment and let that overshadow the entire evaluation report, because you are aware of the fact that your institution has received a copy of this report. If you believe that any evaluation is going to have an impact on your performance review, talk to your department chair or whatever other department within your institution is responsible for faculty development. Many institutions do not count the number of positive and negative comments and instead, the adjunct is allowed to utilize the evaluation outcomes as a self-development tool. Again, if there are standards in place for your college or university, find out who you can discuss your concerns with and how you are going to process the results through revised or enhanced instructional strategies. This presents an opportunity to consider the effectiveness of other course components, from learning activities to resources and course materials. You may not need to take action for one negative comment and instead consider revisions only if you spot trends. 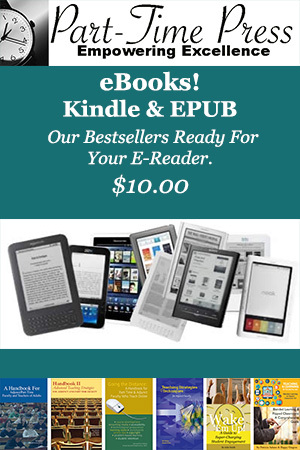 In that case you can may revisions and adaptations as needed. Many institutions utilize end-of-course evaluations as a means of determining the effectiveness of learning objectives and course outcomes. 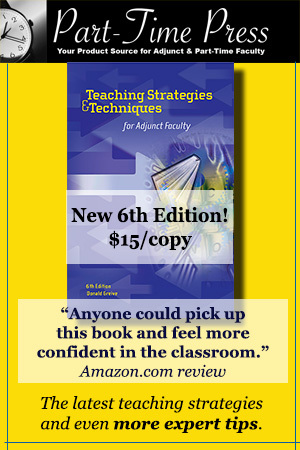 Adjuncts can utilize the information as a self-assessment of instructional effectiveness. If you have developed strong working relationships with your students and maintained regular communication with them, these results should not be a surprise. Check in with your students on a periodic basis, perhaps through non-graded formative assessments, and ask them for feedback about the course. This would allow you to take corrective actions prior to the end of the course. Be proactive throughout your course and you are likely to find that the student evaluations will reflect the effort and time you have taken to create a meaningful learning environment. While there is always a possibility that every student may not be satisfied the overall trend is likely to demonstrate the positive impact you have had on their classroom experience. About the Mentor: Dr. Bruce Johnson has had a life-long love of learning and throughout his entire career he has been involved in many forms of adult education; including teaching, training, human resource development, coaching, and mentoring. 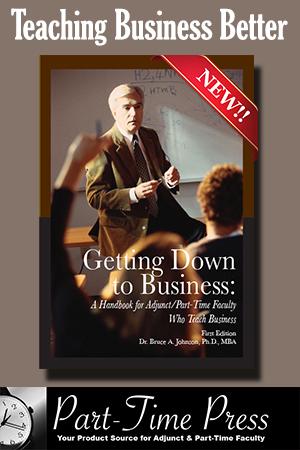 Dr. J has completed a master’s in Business Administration and a PhD in the field of adult education, with an emphasis in adult learning within an online classroom environment. Presently Dr. J works as an adjunct instructor (on-ground and online), faculty developmental workshop facilitator, and faculty mentor.